Currently, K-pop girl group fans everywhere are jamming to TWICE’s “Cheer Up,” watching MAMAMOO’s Solar on “We Got Married,” and excitedly anticipating summer comebacks from Red Velvet and GFriend. From that viewpoint, the world of K-pop girl groups looks dandy and nice, full of anticipated success and bops for days. Under the silver lining, however, lies the elephant in the room — the ever-relevant, but slowly fading Second Generation of Girl Groups. Following in the footsteps of K-pop’s first girl groups S.E.S (SM Entertainment), Fin.K.L (DSP Media), and Jewelry (DR Music), among others, the Second Generation includes some of Kpop’s biggest and most memorable names: Girls’ Generation, f(x), 2NE1, Wonder Girls, miss A, Kara, T-ara, SISTAR, 4MINUTE, 9M– USES, etc. And while fans rally around newer groups, these once-domineering forces in the K-pop world are beginning to fall apart. With lineup changes, member leaves, disbandments, and hiatuses (the infamous “members are going to focus on individual activities for the time being” is a statement agencies always put out when they don’t know what to do with a group) being thrown at fans left and right, we are left to make sense of the mess with whatever rationality we can gather amidst intense, fandom-wide grief. With 4MINUTE’s shocking and untimely disbandment hot on the presses right now, the question begs to be asked: Why is girl group death such a trend right now? The truth is, there isn’t one reason — in fact, there are too many different reasons. A case-by-case analysis will show you what I’m talking about. 2NE1 has suffered probably every major setback a second-gen girl group can face. From 2009 to 2011, the four member girl group found incredible success — number-one hit after number-one hit, physical sales in the hundred-thousands, and even love calls from international legends like will.i.am. Next to Girls’ Generation, they were considered one of the unbreakable girl groups. But everything went downhill in 2012, when YG sent them off on a world tour instead of allowing them to release an album. The group then followed up with some lackluster music in 2013 (save for “Missing You,” which was, quite frankly, amazing), and another world tour after a two year delayed release of their final album as four members. The long hiatus, without focused and sustained activities in Korea or any album releases, left fans both domestic and international impatient and frustrated. But many fans stuck around, only for things to then get worse. Park Bom was hit with her infamous drug scandal in 2014, something that YG could have handled much, much better, but instead left the group to a now even longer hiatus. Two years later, CL has been largely absent in pursuit of a solo debut in the US (with full backing and support from her Korean label as well), and Minzy has left the group entirely to move to Music Works Entertainment and focus on her studies. They’ve endured it all: (1) member leaves, (2) intense focus on only one member, (3) long hiatuses, (4) mismanagement by record label, and (5) crippling scandals. The result leaves their future incredibly unstable: Will their summer comeback, as promised by YG, ever actually happen? What does this mean for CL’s solo debut? 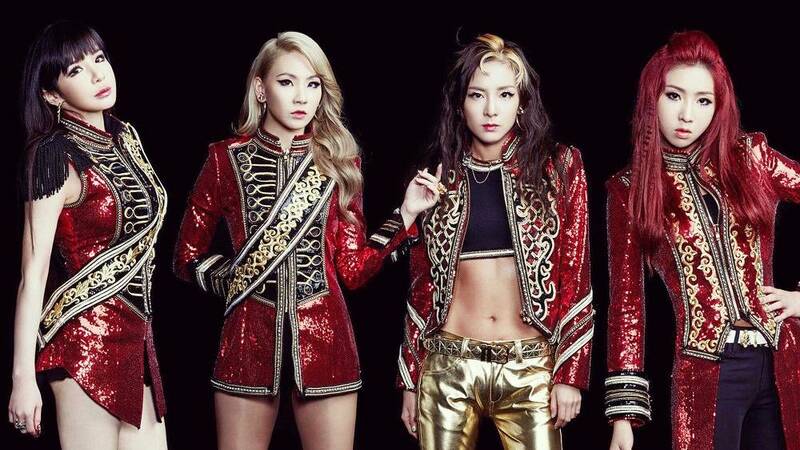 How will fans and the public react to this three member, scandalized 2NE1? Only time, and YG’s doubtful responsibility, will tell. One of the longest-running second generation girl groups, KARA spanned the divide of the first gen and the newer acts to surpass the seven year curse. Their enthusiastic sound and styling saw hit after hit since the success of “Honey” in 2009, with “Mister,” “Lupin,” “Jumping,” and “Step” garnering them a place in K-pop history. Their success in Japan was legendary; they were the first foreign female act in thirty years to top Japan’s Oricon chart and were the first female Korean artists to hold a concert at the Tokyo Dome, beating out Girls’ Generation and BoA (both also popular in Japan) for the privilege. But their career ended earlier this year, following the release of last year’s final Korean single, “Cupid.” While nine years is nothing to scoff at, Kara is a particularly upsetting case study because they had such strong success that their collapse seems like a loss for the industry. But the end was inevitable after the group saw 1) multiple line up changes (only Park Gyuri and Han Seung Yeon remained with the group for the entirety of its career) 2) faced contract issues (in 2011 three members filed a contract termination lawsuit that was later settled) and 3) lost momentum in South Korea after focusing on Japan. Miss A, also from the JYP camp, is suffering a much different fate. From the beginning, the group saw incredible digital sales with 2010 debut single “Bad Girl Good Girl” (one of the best-selling songs of all-time in South Korea) and quickly became a well-known name in K-pop. The problem was that both the public and their record label immediately found an obsession with Suzy, only one of the four members. With hit-or-miss songs to follow and heavy promotions for only one of the members, the group as a whole began to lose its appeal. After years of rumors discussing possible member discord (mostly centered around Suzy’s individual success), Jia left the group this year, leaving miss A’s future in the hands of “individual activities,” as JYP put it not so long ago. They’ve seen hit after hit, but miss A was clearly strained by the (1) intense focus on only one member, (2) mismanagement, and (3) member leaves. 9M– USES is perhaps the most tragic of all of these cases, as they’ve seen considerably less success as compared to other girl groups since their 2010 debut. But it isn’t all negative — they’ve had many top 30 songs, and consistent album releases with what is objectively considered pretty good music. The group’s most constant problem has been prevalent since their debut: lineup changes. Since their debut, they’ve undergone at least three or four different lineups. While Kyungri has attained a good amount of popularity, the group’s future is entirely up in the air with two original members having left about a week ago. For what is supposed to be a group of nine, it’s interesting that it currently has six members, with eight former members and only one original member left in the group. The main reason for member leaves is supposedly Star Empire Entertainment, their agency, which is known for being harsh to its artists and trainees alike. As a result, we can clearly see this struggling second-gen group saw (1) mismanagement, (2) member leaves, and more notably, (3) a lack of mainstream success. What’s left are the survivors: Girls’ Generation, f(x), T-ara, and SISTAR. SNSD and f(x) have been hit with their fair share of member leaves and scandals, but both show health and growth even in their 9th and 7th years, respectively (even though f(x)’s future is a little more uncertain, given Victoria’s continuing success in China, Krystal’s dating scandals, and Luna and Amber’s interest in solo works). While T-ara was battered to shreds by their bullying scandal in 2012, the group shows no sign of slowing down, and their original six member lineup remains entirely intact. In fact, the group continues to receive incredible love and interest in China, bringing them success that they no longer see in Korea and Japan. Lastly, there’s SISTAR, who seems to be the one girl group entirely unaffected by the generation shift. With all four members and a successful comeback last year, SISTAR continues to remain Korea’s number-one digital seller, and they show versatility and a continuing ability to captivate public interest in their 6th year, or at least that’s what the teasers for their upcoming comeback seem to show. So is the five or seven (depending on what you’ve heard) year curse a reality? No, not at all. While groups seem to be falling apart after a certain amount of time, it isn’t witchcraft or some bad luck — it’s a multitude of clearly identifiable reasons. Whether it’s members feeling neglected, bad management, or even scandals, these groups are all crumbling at the same time for problems with their distinct but also notably similar situations. So what do we do about it? Listen to our favorite songs from back in the day, cry a few times, and eventually, move on. Recognize that each girl group is unique, and each girl is facing a struggle unlike any others she’s faced. As fans, let’s respect their wishes, give them some space, and let them come back in their own way, if and when they feel ready. For all the joy they’ve given us, we owe it to them to let them bow out with grace. What’s your take on the state of second generation girl groups? Share your thoughts in the comment section below and be sure to subscribe to the site and follow us on Facebook, Twitter, Instagram, and Tumblr to keep up with all of our posts. Additional reporting by Tamar Herman.